Airbus Receives 15 A350-900s Order and Raise Sales Performance. Airbus long-distance sales showed signs of recovery in May, when the aircraft owner registered an order of 15 A350-900. The agreement, assigned to an undisclosed customer, is the first order for the A350 for nine months; The last one was the United Airlines agreement for 10 signed in September 2017. 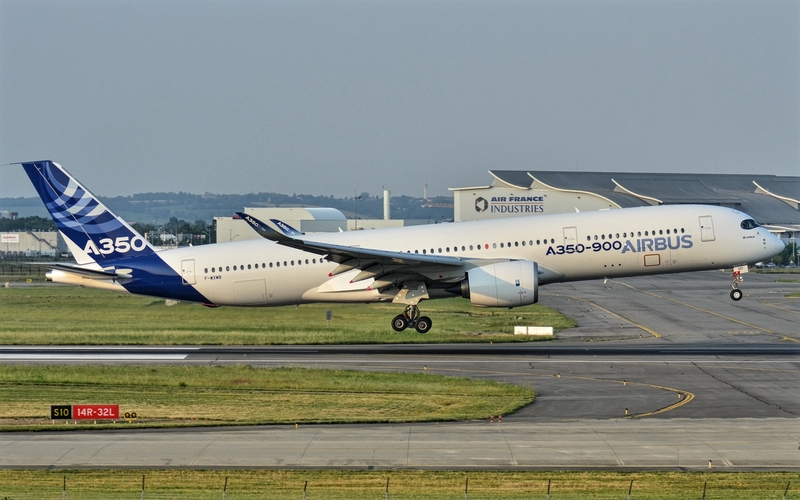 The latest figures for back orders from Airbus show that 679 A350-900 have been ordered. The new A350 agreement also brings to 17 the gross number of long-haul twinjets requested from Airbus so far this year, together with an A330-300 SAS and a single A330-200 for the military tanker program. Airbus long distance programs, including the A380, slipped in positive order numbers, as a result, with a net total of three aircraft during the first five months of this year. Lufthansa represented the only single aisle orders during May, after agreeing to take six A320neos and three A320s. These took the net total of orders from the A320 family to 108 this year. Airbus has also delivered 223 aircraft in general, 8% less than the 242 reached in the same stage last year.